White Crow is a passion project for the actor and director. Starring talented Russian ballet dancer Oleg Ivenko, it takes a beautifully understated look at the period building to Nureyev’s infamous defection to the West in 1961. Nureyev remains the most famous male dancer (ballet or otherwise) of the modern age, yet battled his own demons as much as the oppression of the Soviet regime or his sexuality. These days, dancers may move freely between countries. Gay men and women are able to find freedom in many countries, if not Rudi’s own native Russia. So, why would he still have a particular problem today? It throws up the uncomfortable question of free speech, trolling and the megaphone of social media. Ralph Fiennes’ film shows the abrupt rudeness and insensitivity of his subject, although some critics have argued ‘Rudi’ was much worse than shown. In a modern age where every comment and controversial opinion can lead to outrage and even end careers, how would the dancer have fared? After all, modern star Sergei Polunin has faced a severe backlash from the ballet word for his behaviour and certain recent distasteful opinions on masculinity and the correct roles for men and women on and off stage. “Often it comes with the territory, that strong will to be an artist or dancer, your personality has edges. In the ferocious desire to achieve something you verbally lash out to express yourself in a way that can be received as offensive. Nureyev was famous for outrageous behaviour but his target was the dance, to be a continually evolving great dancer. n a remarkable parallel, Polunin actually has a supporting role in the movie. Like Nureyev, he has been lauded as an extraordinarily talented dancer. He was the youngest principal at the Royal Ballet before an acrimonious split over his behaviour. He has been condemned by dancers and companies around the world for a series of tweets which included calls to “slap fat people” to encourage them to lose weight and a lengthy rant for men to be more masculine, otherwise women will take their role in society. While not condoning the comments, Fiennes is forgiving of the young artist, praising his talent and offering a partial explanation for the incendiary tweets which lead to Polunin being fired by the Paris Ballet. In 1961 art and entertainment, fame and notoriety went hand in hand. It is no different today, except there is no longer anywhere to hide. 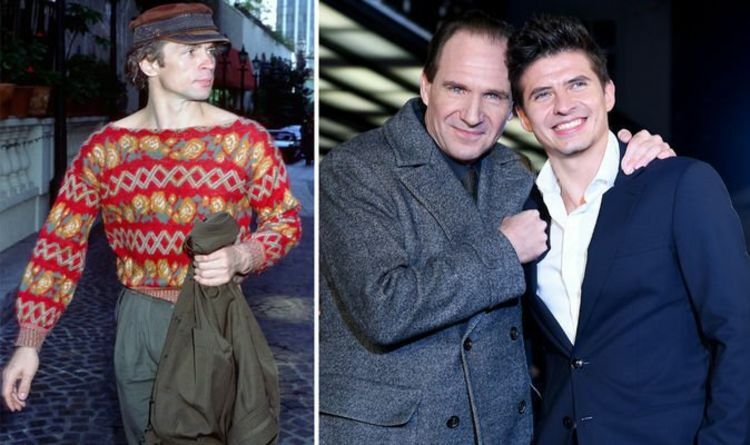 Whether Nureyev would have learned to navigate the modern world is a fascinating thought. He was clearly an artist who knew which buttons to push and how to maximise his impact. It remains to be seen whether Polunin will weather the storm of his own making. WHITE CROW IS OUT NOW.